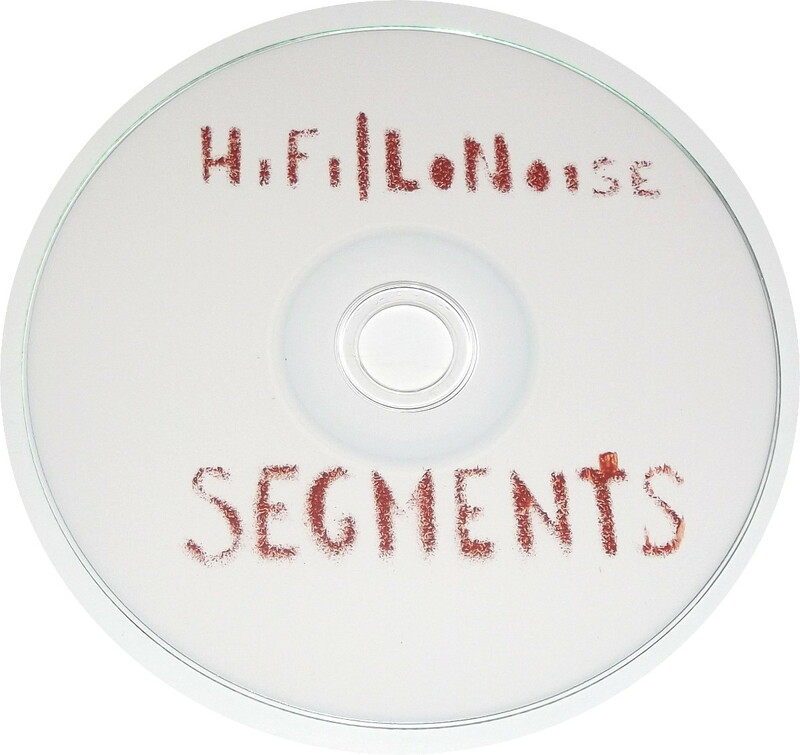 ‘Segments’ by Hi Fi/Lo Noise. 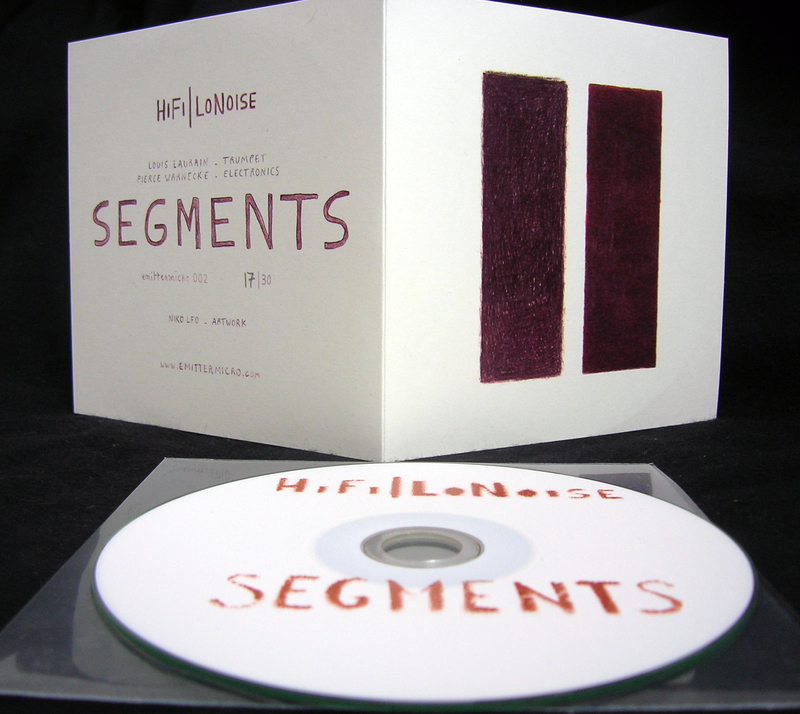 Spray painted CD-R (30 copies) and 300g paper sleeve with artwork by Niko LFO . Segments (EM002) is the second release from Emitter Micro, the German label who sent us the 2 (3) Incomplete Triptychscassette in a clear box. As HiFi / LoNoise, the trumpeter Louis Laurain is joined by the electronics of Pierce Warnecke for 21 minutes of thoroughly abstracted sound – starting as puffy blankets of “reduced improv” minimalism, then exploding into a more full-bodied broth of amplified buzziness. Evidence of strong concentration and focus from both players here. Has a refreshing “raw” quality; untreated surfaces which you could use as building blocks in modular self-assembly furniture, and transform your living quarters.